Over the past few years, a happy marriage of sport and technology has emerged between fishing and 3D printing. We wrote earlier about some of the designs—realized or not—of 3D printed lures. But recently, there’s been some trouble in paradise. Or maybe more accurately, one member of this relationship has been doing all the yard work while the other sits around watching football. We don’t want to name names, but a few YouTubers have been showing up in our feeds with 3D printed technology that has existed for centuries. These items are generally 1) widely produced 2) very cheap and 3) for sale at pretty much every local tackle shop and/or Walmart. One angler that caught our eye was 3D printed bobbers. It used to be that an effective bobber was comprised primarily out of a blocky chunk of wood. Half the time, you could find one on the ground on the way to your fishing spot. If you were really in a pinch, you could find an appropriate piece of wood and whittle one down to your liking. In the past century, things got even easier with the advent of plastics. Folks also commonly used porcupine quills or certain bird feathers. For the past fifty years or more, children as young as 3 or 4 have been doing pretty good with the standard plastic red and white bobber. For those curious, David Smith at Wide Open Spaces provides a definitive listicle on the bobber. Some might say that these are difficult to see. If you have difficulty determining whether or not your bobber is getting action from casting distance on the shore, then you should consult your optometrist before the next time you operate a vehicle. In fact, we found numerous anglers who 3D printed rod holders. We also found 3D printed rods, reels, fly fishing nail knot tools, rod racks, pole clips, line cleaners, fish grips, and more. This is exasperating on many levels. First, the plastic needed to print these items—along with the additional materials they may require—likely costs pretty close to their analogs’ MSRP at your local store. And then there’s the cost of the printer itself. If you’re after a quality device of decent size, it’s going to be a couple hundred bucks at least. Second, it marks a dramatic failure of imagination. 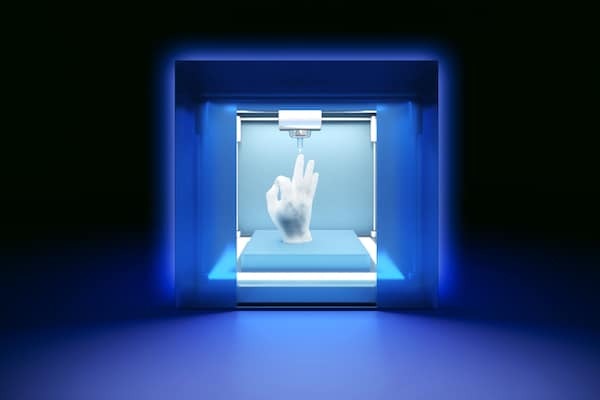 3D printers allow us to create and use that which we can only dream of. It subverts the manufacturing industrial complex. The same technology has been used to print human organs! In the great sport of fishing, 3D printers have produced lures of fantastic design, custom jet drives, and a fishing rod holder that can attach to your bike frame. At the end of the day, it’s a free country. You can 3D print Martin Shkreli bobble heads all day long if you really want to. But you won’t be getting any upvotes from us.